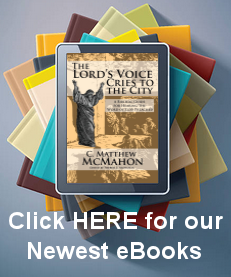 Reformation for the Glory of God - by Samuel T. Logan. Jr.
What is the difference between a Pilgrim and Puritan? What’s the difference between the Pilgrims and the Puritans? Are they all the same folks? When did the two groups first form? And why did they emerge as distinct religious groups? Excellent questions, every one! In answering all of the above questions, the year 1517 was especially crucial. Most know one reason for this-in October of 1517, Martin Luther nailed his theological theses (declarations) to the castle door in Wittenberg, Germany. But 1517 is a crucial year for another reason as well, for in that year, in Boston, England, at a site where now stands an English pub called Martha’s Vineyard, John Foxe was born. To anticipate just a bit, John Bunyan, author of Pilgrim’s Progress, once said that something John Foxe did, more than any other human action, caused the rise and the flourishing of Puritanism. By 1526, regular (rather subversive) theological discussions were being conducted in the White Horse Tavern in Cambridge. Participants included such future luminaries as Thomas Bilney, Hugh Latimer, Nicholas Ridley, and Thomas Cranmer. Every one of the four was later martyred. In the meantime, in the late 1520’s and early 1530’s Henry VIII was experiencing matrimonial and political difficulties such that, in 1533, he insisted that the Convocation of Canterbury declare his marriage to Catherine of Aragon annulled. In the next year, Henry had the English Parliament declare him the Supreme Head of the Church in England, thus severing all ties with the Roman Church. While Henry had no particular desire to “reform” the theology of the church, those who had been meeting at the White Horse (and many of their colleagues and supporters) saw this as an opportunity “of the Lord.” Perhaps now the Scriptures alone could genuinely become the foundation of the church and the nation. Such hopes found little royal support during Henry’s lifetime, but, when the King died in 1547, his nine-year-old son Edward officially assumed the throne, ruling primarily through regents, both of whom (first the Duke of Somerset and then the Duke of Northumberland) had more sympathy for the vision which had illuminated those White Horse discussions. The push for the purification of the church and the state gained great momentum in England between 1547 and Edward’s death in 1553. But the next Tudor on the throne was Mary Tudor, better known to later generations as “Bloody Mary.” Mary wanted nothing more than to return “her” country to the Roman Catholic fold, no matter the cost. Between 1553 and 1558, Protestant exiles flooded Europe, hoping to escape Mary’s sword by gathering in such Protestant bastions as Geneva and Frankfurt. To the latter came the 38-year-old John Foxe. Foxe developed a powerful vision of what England could be, if only God’s Word were fully and faithfully followed. Mary’s death in 1558 and the accession to the English throne of Mary’s Protestant sister Elizabeth reversed the earlier tide and sent Englishmen and Englishwomen home in droves. The seed which became Puritanism received a full shot of theological fertilizer from the pen of John Foxe. During Mary’s reign, hundreds had died for their faith. Would the people of England honor those deaths by seizing the marvelous opportunity the Lord had given England by removing Mary and replacing her with Elizabeth? Would the people of England now insist that their church and their state be completely purified of all non-biblical elements so that both institutions (and all the people therein) might bring singular honor to the Lord God of Scripture? These were the questions asked in Foxe’s monumental work which we know as The Book of Martyrs. First published in 1563 Foxe’s work was an intense account of the pain suffered by the Marian martyrs and a clarion call to bring both the nation and the church of England into full conformity to the Word of God. Many of those who shared the dream which had been nurtured at the White Horse Tavern now seized upon Foxe’s expression of God’s expectations of His people and insisted, with ever-increasing fervor, that both their royal and their ecclesiastical leaders direct all English affairs sola Scriptura, according to the Scriptures alone. Queen Elizabeth I, however, saw things differently. Her vision was of political stability and order. Elizabeth had no interest in any kind of extremism, especially the kind of religious extremism which the theological heirs of those White Horse discussants seemed to her to represent. England (including the English church) should, in this Elizabethan view, be broad and inclusive and should base its life on tradition and reason as well as on the teachings of Scripture. So, by 1570, there had developed in England two parties- 1) those who favored this more rationalistic understanding of church and state, and 2) those who continued to insist that further purification of those two entities was required by Scripture and that England must now seize the spiritual opportunity so brilliantly described by John Foxe. And it was in the midst of this controversy that the term “puritan” began to be regularly used by the first group as a derisive epithet of attack upon the second group. The 1570’s saw the intensification of this conflict with little “progress,” at least from the standpoint of the Puritan party. In fact, with the dismissal of Thomas Cartwright from his teaching position at Cambridge for promulgating the heresy of Presbyterianism, it appeared to some Puritans that the cause was being lost and this perception led to the first major split within the Puritan party. As the Puritan impulse might be primarily associated with (though it actually preceded) Foxe’s Book of Martyrs, so the “Pilgrim” ethos might be traced appropriately to Robert Browne’s book, Reformation Without Tarrying for Anie, first published in 1580. Browne might be called a disillusioned Puritan. He shared the vision which informed Foxe’s work, but after more than a decade of seeking revival within the English church, he came to the conclusion that it just wasn’t going to happen. Browne “separated from” the English church and, with the like-minded Robert Harrison, started his own congregation in Norwich in 1581. Thus was formed the “Separatist” movement, a movement which later produced such leaders as John Smyth (whom some regard as the father of English Baptists), John Robinson, William Brewster, and William Bradford. The latter three were directly involved in that group of Separatists which, in 1608, left England for the Netherlands, and then later decided to emigrate to the New World, landing at Plymouth, Massachusetts, in 1620. Many (probably most) Puritans chose to remain within the English church working for reform, and it was from this group that a much larger group of emigrants left from England for New England in the late 1620’s, establishing their colony at Massachusetts Bay. The Boston and Plymouth colonies were distinct political and religious entities (at least until the English government combined them in the late 1680’s) and, while relations between them were generally friendly, members of both groups were crystal clear on the differences between them. “Puritans” wanted to remain as part of the English establishment, working for biblical reform from within. Even as they emigrated to New England, they affirmed their “Englishness” and saw the main purpose of their new colony as being that of a biblical witness, a “city on a hill” which would set an example of biblical righteousness in church and state for Old England and the entire world to see. As deeply committed covenant theologians, they emphasized especially strongly the corporate righteousness of their entire community before God. “Pilgrims” wanted to achieve “reformation without tarrying,” even if it meant separating from their church and their nation. While they continued to think of themselves as English, their emphasis was on their new political identity and spiritual identity. Because of their passionate commitment to the necessity of reformation immediate and without compromise, they emphasized especially strongly individual righteousness before God. What united Massachusetts Bay and Plymouth, what united both Puritans and Pilgrims was far more significant than what distinguished them. All children of the Reformation, they knew that salvation was by grace alone through faith alone in Christ alone. And they knew this because they took, as their authority, Scripture alone. They all knew that to God alone must be the glory and, in their different ways, they sought to bring every thought and every action-religious, political, social-captive to the Lordship of Jesus. Could there be any more important goal for American Christians today? Reprinted from Tabletalk magazine, vol. 20, no. 11, November 1996, with permission of Ligonier Ministries, P.O. Box 547500 Orlando, Florida 32854 1-800-435-4343.